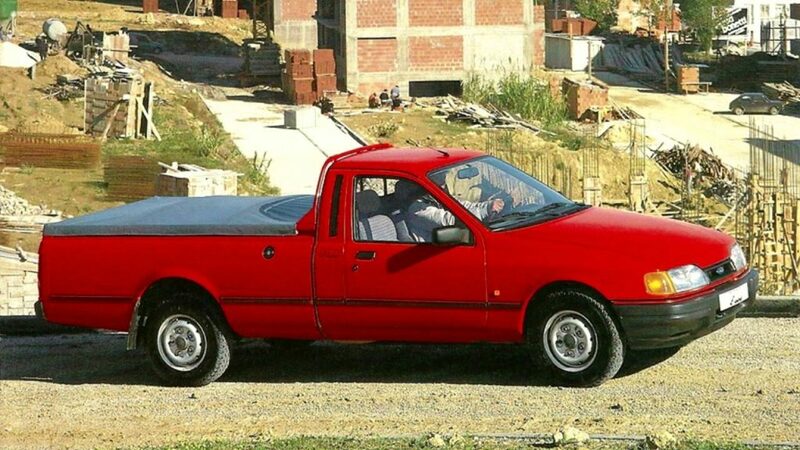 The Ford P100 was introduced to the UK, although the model can trace its history back to the Ford Cortina pickup that was launched in South Africa in 1971. 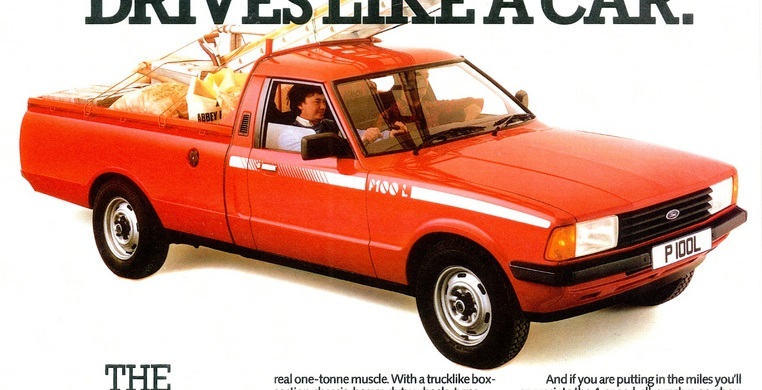 Early models were based on the Ford Cortina MKV, but these were replaced by Ford Sierra models in 1987. The first generation Ford P100s were built in South Africa, although production was shifted to Portugal for the second generation. 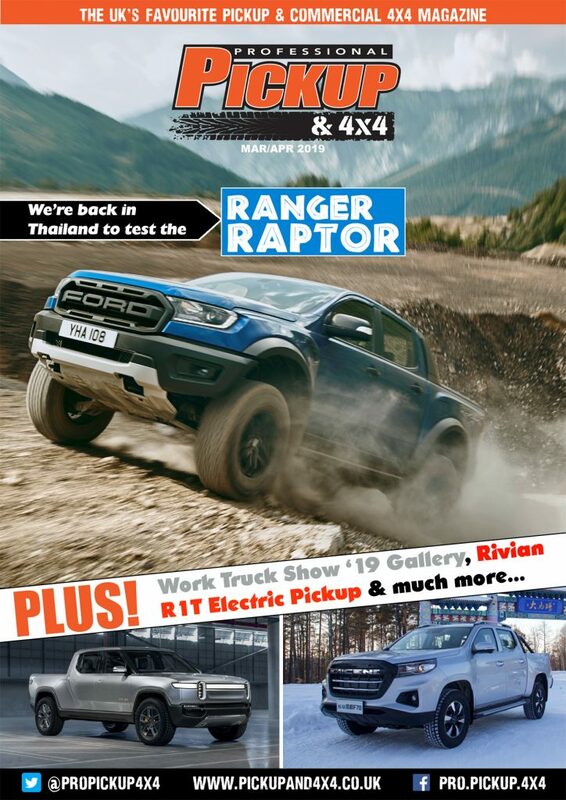 These low, 4×2 single-cab pickups lost ground in the 1990’s, with many operators switching to the new dedicated small panel vans like the Citroen Berlingo and VW Caddy, and sales of the Ford P100 ceased in 1993. The first-generation Ford P100s were fitted with a four-speed transmission and a 1.6-litre petrol engine, which produced up to 73hp and 117Nm. However, the second-generation Ford P100 came with a five-speed manual transmission and a bigger 2.0-litre ‘Pinto’ petrol engine (74hp/123Nm) and, in 1989, Ford introduced a 1.8-litre turbo-diesel engine (74hp/152Nm). 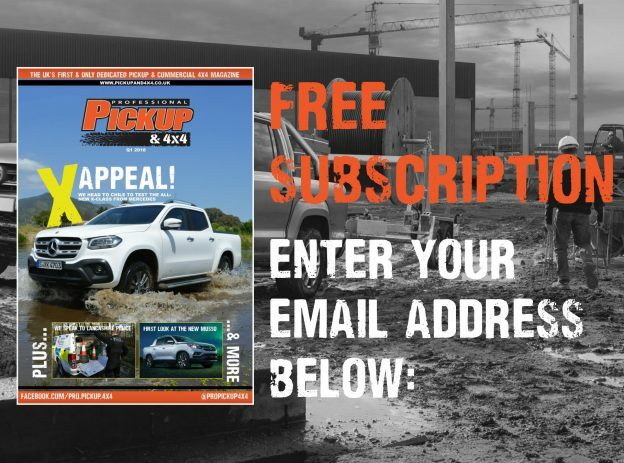 A key attraction of the diesel model was the running costs; at 33mpg combined it was the most fuel-efficient one-tonner on the market, while the 2.0-litre petrol achieved around 25mpg. The load bed measured 2,098mm long by 1,373mm wide (1,097mm between the wheelarches), which meant it lost out to many of its rivals like the Vauxhall Brava. The gross vehicle weight was measured at 2,440kg and the kerbweight at 1,470kg, which means there’s around 970kg left for payload. 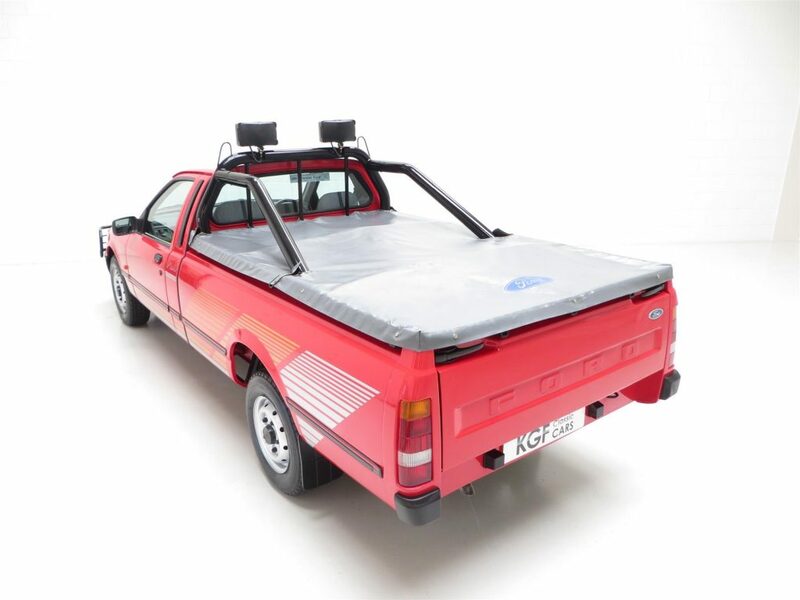 The maximum weight of the Ford P100 and its trailer (gross train weight) could not exceed 2,650kg. Given the 1,470kg, this limits the weight of the trailer to 1,180kg. 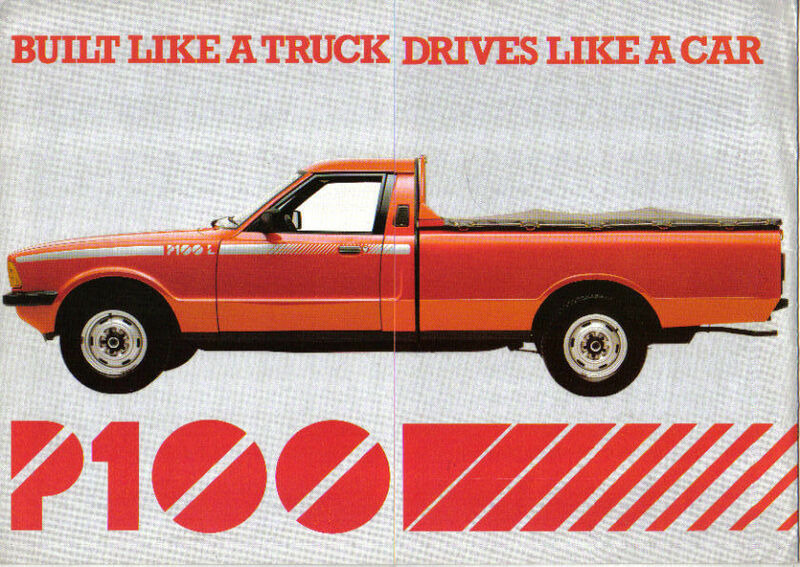 One of the Ford P100’s greatest advantages, particularly the second generation, was its ride and handling. 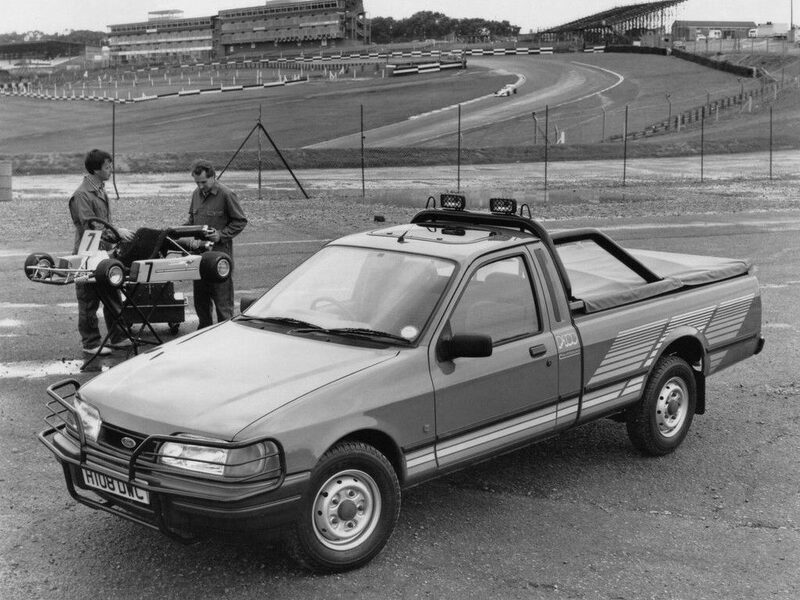 The front half of the vehicle was a monocoque frame from the Sierra, which meant it didn’t roll as much as the other one-tonne pickups and it held the roads relatively well. The Sierra cab also had another advantage though, it was far more refined and the NVH (noise, vibration and harshness) was lower than that of its competitors. 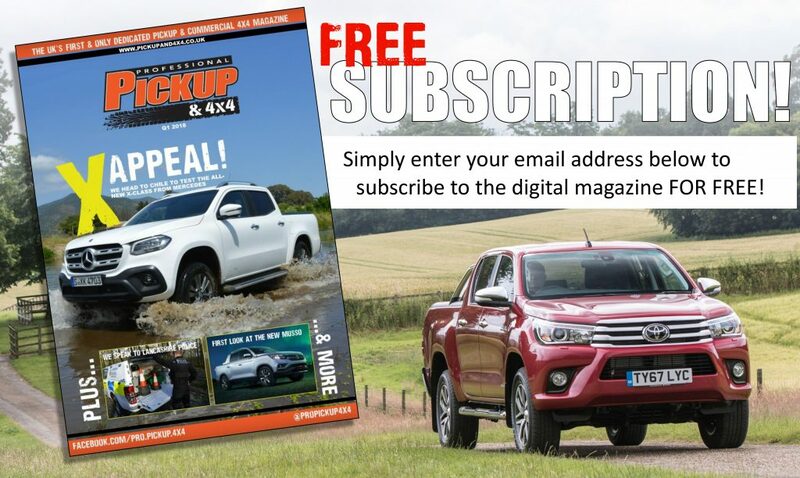 If you want to discover more pickup trucks from the 70’s and 80’s, visit Classic Pickup Trucks.